Photo by Taavi Tamtik (2018) At the end of the first Estonian Music Week last May, the energy and enthusiasm for performance and live shows was palpable. A successor to Estonian-Canadian cultural phenomena like JK Jazz, audiences were brought top quality musicianship from far away, united with local talent in a unique manner across the city of Toronto. Travelling long distances is gruelling for any musician, but all possible human energy was channelled into these shows, flooring audiences and introducing listeners to some of the innovative creative output of Estonia at this time. But at the end, we were left to wonder, “What's next?” An immense amount of thought and energy was put into each of these concerts by the Estonian Music Week team. They deserved a break no doubt, but several months on now, we are ready for the exciting developments that have unfolded. 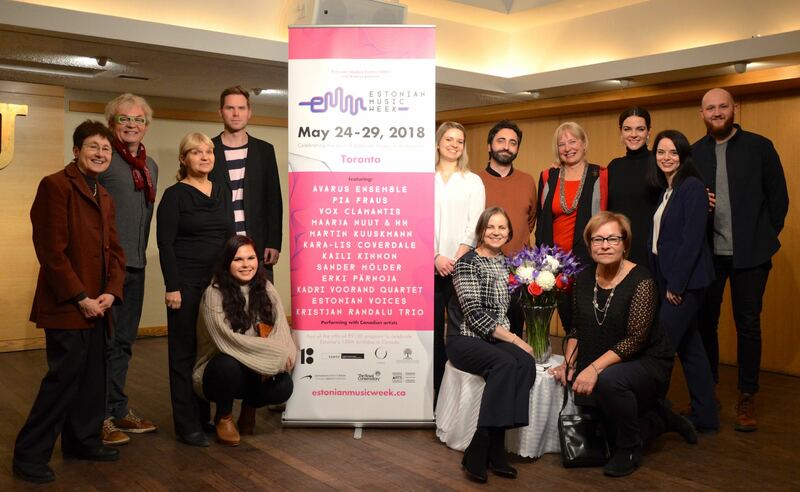 Toomas Treumuth, Canadian artistic director on the original Estonian Music Week team, has a response to that question and the sense of hope that remained in May of last year. Building upon the success of the festival, we will soon have access to many more shows throughout the year, made possible through The Estonian Music Week Culture Club. For 150 dollars per person, per year, you can get discounted, exclusive front-of-queue access to four concerts from a selection of six. This advance payment not only secures members' spots early on, but it also gives the artists performing a greater chance to expand their reach beyond Toronto, branching out into our communities in Hamilton, Ottawa, and Montréal. 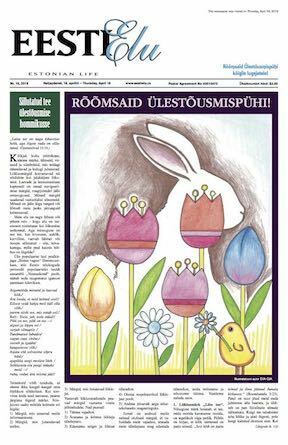 You can consider your participation an active means of supporting Estonian culture's vitality, because it makes the journey to Canada more financially viable. Tickets are transferrable, allowing for flexibility. At each event, there will be refreshments available for purchase (locally-sourced and Estonian-inspired when possible) and a chance to get to know the musicians. Adding onto the value of a membership, 50 dollars of the membership fee is tax deductible. It's a win-win situation for both members and artists. What initially inspired the transition from the festival to The EMW Culture Club as an idea? “For purposes of clarity, EMW is still going to be a festival. However, under the EMW umbrella, the Culture Club will be a separate division. Three different events inspired me to start the Culture Club. After completing my services as Canadian Artistic Director at the May EMW celebrations, I realized the talent that had been on display was truly unique and awe-inspiring. My colleagues, including some involved in booking artists, also agreed right away that there was really something special about each artist. When speaking to some of them afterwards, they all wanted to know when Kadri Voorand, Kristjan Randalu and many others would come back to play again. I realized that even with these future opportunities, there is no funding in place to bring anyone back, hence my first reason to perhaps start a club of some kind with memberships, to allow some crowd funding to take place. Second, I attended an event in Hamilton last year at the Cotton Factory, and what went on that evening was the second time I thought of a club, and then thought 'Why not call it a culture club?' When I walked into the Cotton Factory's amazing loft space, with high ceilings, coloured lights going up all the walls, video screens scattered across the room, and food and liquor pop-ups everywhere, I was transfixed right away at the tremendous atmosphere. Everything about the evening had a connection to Estonia and the place was nicely packed. I then found myself in Budapest on vacation, looking for something to do one night. By chance, I saw that the Estonian pop rock group Ewert and the Two Dragons were playing that night on a ship docked on the banks of the Danube. Of course, I went, and they were amazing. As good as Coldplay, in my opinion. What struck me right away was that the 400 people there knew every song and even sang along. I know there were some Estonians present, but by and large these were non-Estonians, just enjoying great music. Again, I thought to myself 'Wow, with regular touring in North America, I really think they could build up a great base of fans, but they can’t just come over and play Toronto and go home. They have to play multiple cities and keep coming back every year.' There needs to be some proper promotion to non-Estonians. Seeing the band live triggered a sense that Estonian talent is now on such an upswing in all genres, but that it needs a support system to build audiences here in Canada and the US as well. Record companies no longer do that unfortunately, and I know that because of being in this industry my entire life. It's now only about pushing one song and hoping you get lucky. What can members of the Culture Club hope to see and hear above what just buying single tickets provides? “Besides being a great deal to see amazing performances in all genres of music, it's a great investment in our music and culture! 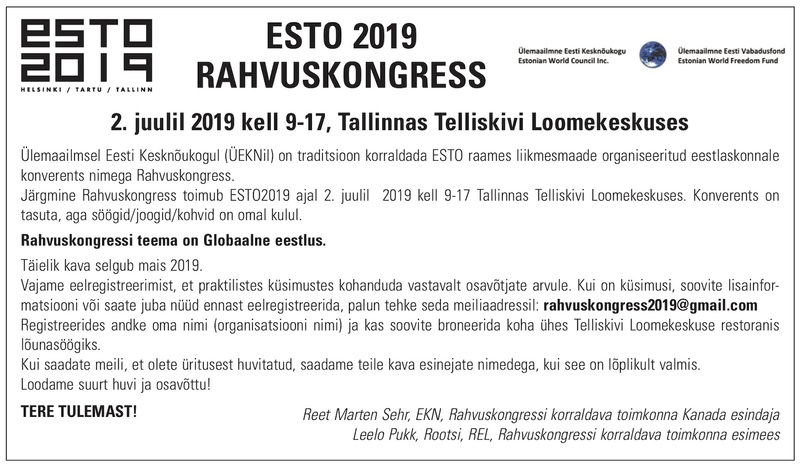 Buying memberships provides extra funding to help Estonian artists tour here more often and in different cities, along with doing the proper marketing and promotion in order to also attract non-Estonians to these wonderful concerts. On the agenda, there is a planned series of events in October 2019 that will bring together tech and music. In what ways do you see technology being connected to Estonian culture and its status in the world? “I’m glad you asked that. There is also yet another division starting up under the EMW umbrella (the name will be sorted out very soon), to run a tech conference at this year's EMW festival, to be held from October 17th to 20th. During the day, we will have tech panels, speakers and networking, with start ups, government representatives from Estonia, and investment companies from Toronto and other cities. In the evening, we will have EWM presented concerts. The funny thing is that if you ask somebody on the street about Estonia, they are most likely to have heard of our great music via classical composers such as Arvo Pärt or vocal choir Vox Clamantis. They may have read about the massive choirs at our song festivals in Tallinn. They may also mention that Estonia is the tiny country who is the number one most plugged-in digitally, with four 'unicorn' companies. They might say something about Skype. They may also have heard of our very successful e-residency initiatives, that continue to make waves around the world, with Pope Francis and Bill Gates both becoming e-residents. The point I’m making is that Estonian music and tech are actually intertwined, as both seem to currently be on a major upswing regarding their reputations around the world. I don’t see a ceiling for that. How do you see Estonian culture moving forward as a result of the patronage of this club? “I’m hoping people realize that buying memberships helps out our culture tremendously as it strengthens our communities everywhere to welcome artists to come and perform regularly. It also expands our music and culture to others who may not be aware of it yet, and I believe most of us are very proud to show off our roots. The first dates of the second iteration of Estonian Music Week and in connection to this Club are three nights in March, with jazz pianist and composer Kristjan Randalu. March 21st at Espace Oliver Jones in Montréal. March 22nd at Cotton Factory in Hamilton with saxophonist Mike Murley (presented by Robert Zeidler). March 23rd at 345 Gallery in Toronto with Toronto Symphony Orchestra cellist Winona Zelenka. All upcoming dates, including imminent shows with artists like Kadri Voorand, will be communicated by email for members and on the EMW website (estonianmusicweek.ca). If becoming a member of The Estonian Music Week Culture Club sounds like something you would like to do, further details and payment options can also be found on the Estonian Music Week website. Tickets will be limited beyond the scope of The EMW Culture Club, so be sure to secure a place as soon as you can. (This interview has been edited and condensed. The above image has been licensed for use by Estonian Music Week).